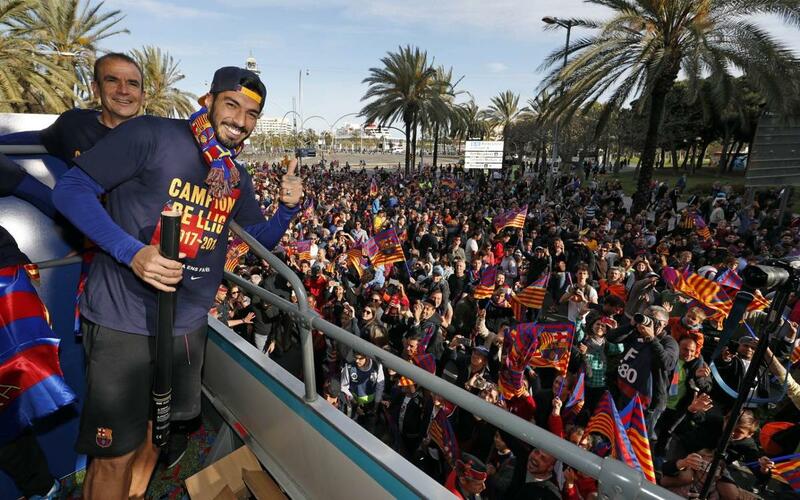 The league and cup double winners took the chance to celebrate their success with the fans on the streets of Barcelona with an open top bus tour of the city. A two and a half hour journey through the streets of the Catalan capital to commemorate the eighth ‘doblet’ in the Club’s history allowed supporters to get close to the squad to take photos and enjoy the festive atmosphere along the route. From inside the bus we get a unique perspective on the parade with two cameras placed strategically at the front alongside the two trophies claimed in the 2017/18 season. See close up the confetti battles and a lot more from the celebrations in our exclusive video!